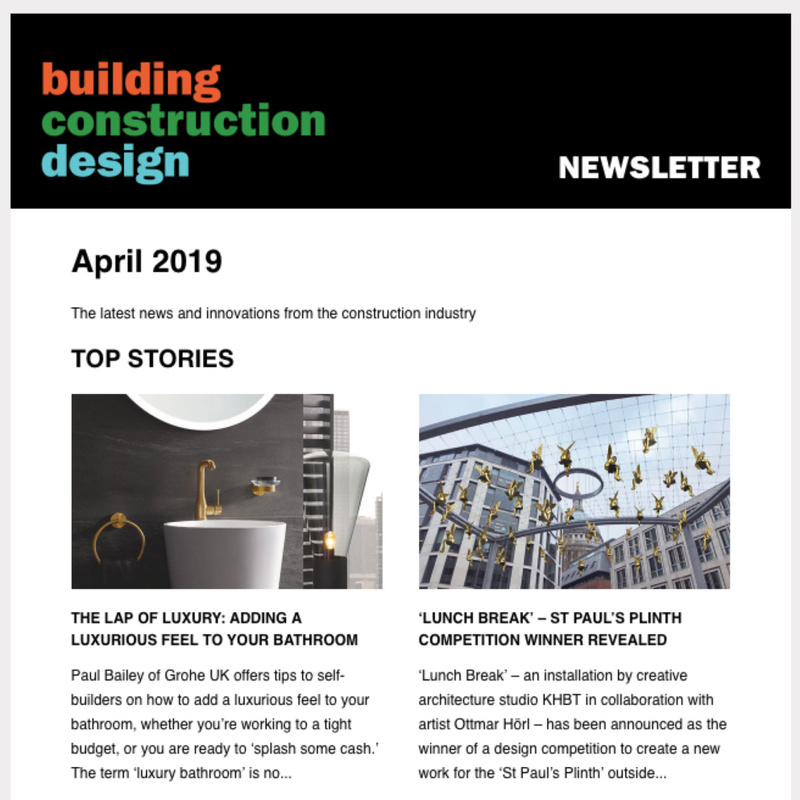 Saniflo – the UK’s leading designer and manufacturer of macerators, pumps and shower cubicles – has added a new contemporary shower tray featuring its patented mineral material, the Kinerock, to its portfolio of bathroom products. 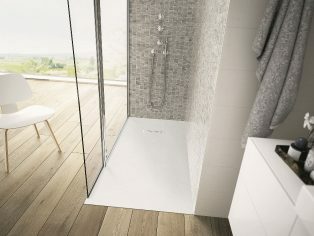 The Kinerock is no ordinary shower tray. 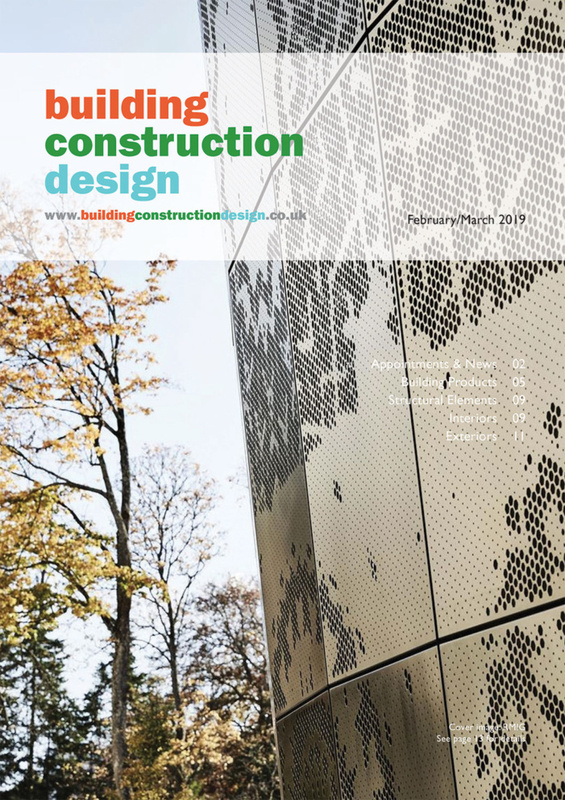 The extremely versatile Kinerock can be easily cut to any size or shape, making it completely customisable. Kinerock is so malleable that it can even be cut to fit around objects and obstacles. 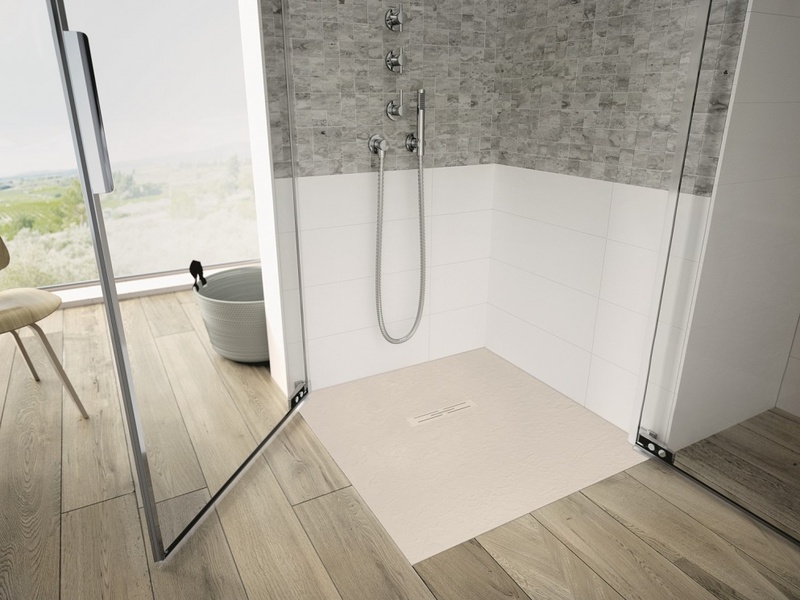 Made from an extremely durable patented mineral material, the Kinerock is available in a variety of standard and large sizes and colours to suit most tastes and requirements, the anti-slip surface reduces the risk of falling in the shower. Kinerock is made from a mineral filler and acrylic resin making it light and easy to cut to ensure a perfect fit. The gelcoat surface ensures it is durable and highly resistant to scratches and damage. 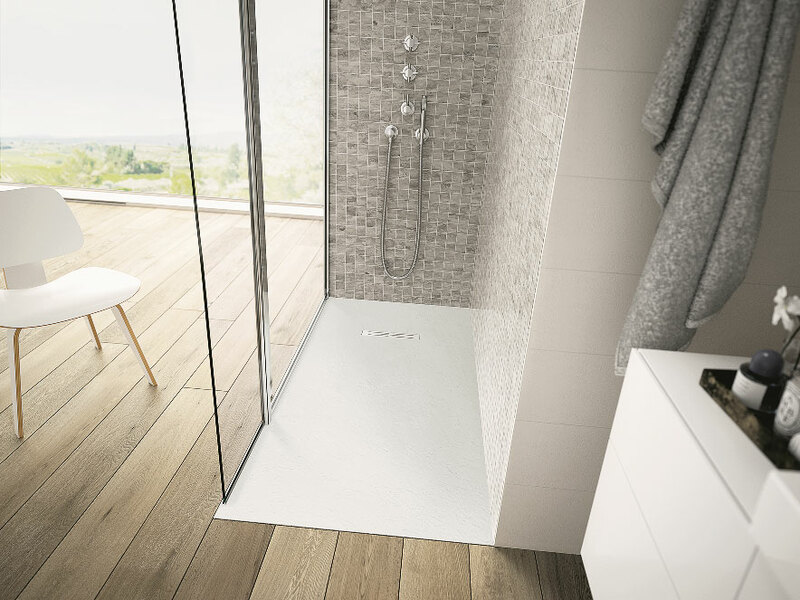 The Kinerock is an extremely comfortable, safe and versatile shower tray. 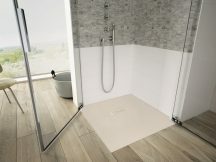 The textured material offers good grip adding a feeling of security and reducing the risk of falling, and at just 40mm thick, the Kinerock offers easy access into a shower area. 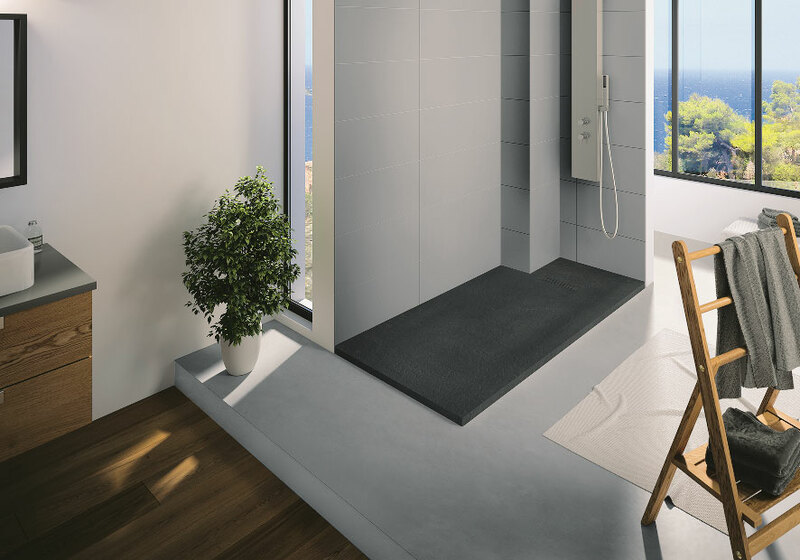 The material ensures the surface is not cold to touch for your comfort while showering. Easy to clean and maintain, the Kinerock is kept looking pristine with just soapy water and the waste grill can be easily removed for deep cleaning.